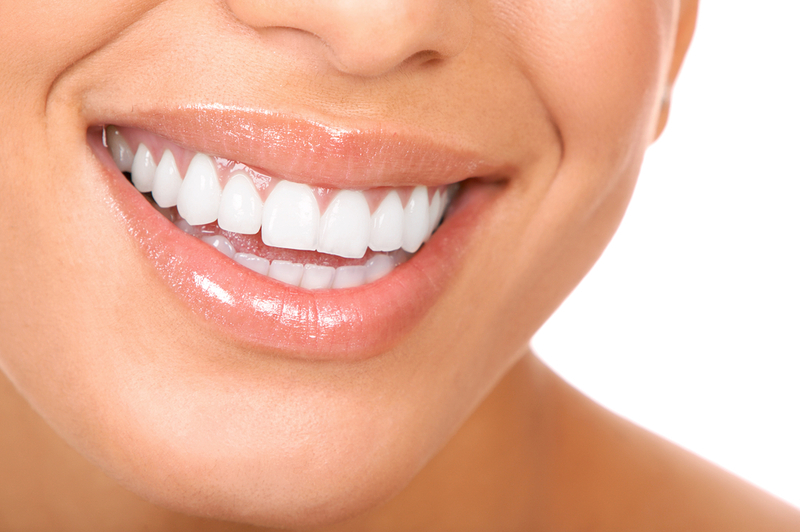 Nature originally designed our teeth to come in subtle milk and cream tints. Currently, however, the trend for smiles is to flash ultra bright teeth. You may not pine for the blindingly white teeth of toothpaste commercials, but even attractive natural teeth can darken over time, and you may be wondering whether whitening would improve your smile. Here are a few things to consider. Healthy young teeth are most often naturally white without artificial brighteners. I don’t recommend whitening of any kind for patients less than 16 years old. Permanent teeth will always be slightly darker than baby teeth, but youthful permanent teeth generally need nothing more complicated than regular brushing and flossing to maintain brightness. And that would be fine if we all lived on baby food and spring water throughout our lives. But teeth are porous, and can be stained by the foods and beverages that we favor – and by smoking, which can actually blacken teeth over time. At first, discoloration is superficial and can usually be polished away. Over-the-counter whitening toothpaste will usually do the trick – just don’t overuse it. Over time, however, regular exposure to staining can cause darkening of the internal tooth structure. Physical trauma to teeth and certain medications can cause this discoloration as well. In these cases, stronger whitening methods may be called for. A word of caution: Your smile may not be enhanced by whitening of any kind if you have had restorations placed in your front teeth. Whitener will not lighten these materials, and they will stand out in your newly brightened smile. Replacing these later with lighter shaded restorations can be an expensive proposition. In these cases, dental bonding or veneers may be attractive and cost-effective alternatives to whitening. I advise all patients considering this level of whitening to come in for an exam that will match the current shade(s) of their teeth against a dental shade guide, and determine the level and causes of staining. We look for recurring problems, such as irritated gums, that must be resolved before whitening. If all is well, we’ll offer advice on whitening options tailored to each patient’s unique needs and expectations. recommend many over-the-counter whitening kits, however. Some are effective, but many are unregulated, so can vary widely in strength and safety; some concentrations on the market are just too strong and acidic for the surface of your teeth. One-size-fits-all trays don’t always whiten uniformly, and may push excess whitener up into the gum area, causing irritation and sensitivity to delicate tissue. We can provide a custom home-whitening system, a 10% to 16% carbamide peroxide gel kit that is American Dental Association-approved. More importantly, we custom-fit a gel tray for your teeth to insure that teeth are uniformly whitened and gums protected. You can always call our office with any questions or problems that may arise. Depending on the current shade of your teeth and how diligent you are about following directions, you can expect whiter, even-toned teeth from a custom home system in one to two weeks and at reasonable cost. Home whitening works best on healthy, but moderately yellowed teeth – and on patients who are conscientious about follow-through. Professional, in-office whitening is a better option for patients who are less than meticulous about following directions or are looking for immediate results. It’s also a better option for gray, brown or black shades that are more difficult to whiten and which may require several sessions to reach optimal color. If you are a candidate for in-office whitening, we customize a plan that factors in unique concerns such as color goal, current alignment, structure and condition. The in-office procedure takes about 90 minutes. To protect lips, mouth and gums and reduce sensitivity, we apply a protective shield. Then we apply a whitening agent to teeth. As the agent breaks down, oxygen enters the enamel and dentin, whitening stained or discolored areas. The structure of the tooth is left unchanged. In-office whitening is a custom procedure; whatever your whitening goals may be, we take the time to insure that you are delighted with the results. At Leland Dental, we believe that professional whitening unquestionably produces the highest return on investment. If you are interested in exploring options for a brighter smile, please call us at 781-826-8395 to make an appointment for a free exam and consultation.